Come join us for our spring meeting to discuss upcoming plans and elect new board members. What will we be focused on this summer? It's your opportunity to get involved and have your say! March is here and that means we can all start to think spring! 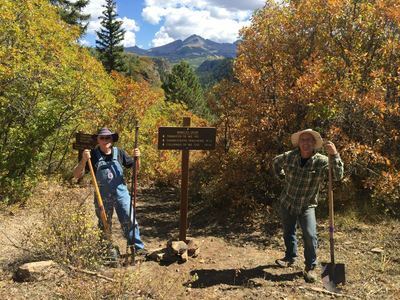 Mancos Trails Group will be hosting trailwork days on the second Saturdays of June, July, August and September this year so mark you calendars! 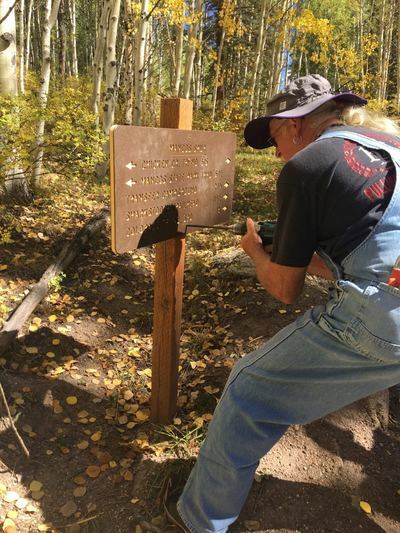 Projects will include setting the final signs for the Mancos Spur Trail, erecting the Spur trailhead kiosk at Mancos State Park, and upkeep and maintenance on various trails that we have adopted. New trail construction might be on the agenda as well - we will see! And, we will have a fundraising event on May 18 at the Mancos Brewing Company again this year! Details are still being finalized but you can count on great beer, music, and company! We are all looking forward to a fun summer! 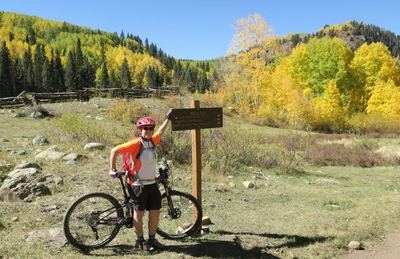 Mancos Trails members! What a great opportunity to have a say in the future of trails in Montezuma County. Apply by Jan 4. Montezuma County is accepting applications for the Montezuma County Recreation Advisory Committee. The committee will advise the Montezuma County Board of Commissioners on the planning, construction, land acquisition, operation and maintenance, and organized and coordinated activities related to recreation in Montezuma County. 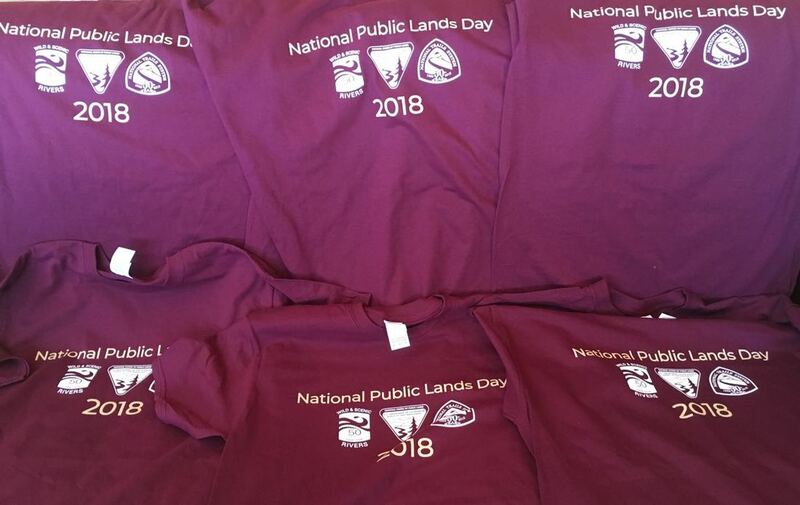 “The goal of the committee is to keep long-term momentum for current and future recreation projects that serve the public,” said James Dietrich, public lands coordinator for the county. Several projects are in the planning stages. 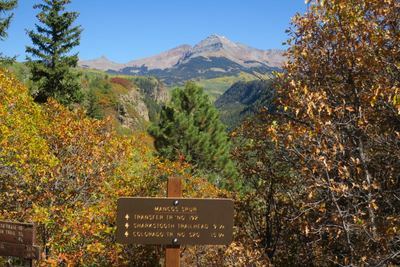 The non-motorized, 17-mile Paths to Mesa Verde Trail would connect Cortez to Mancos. 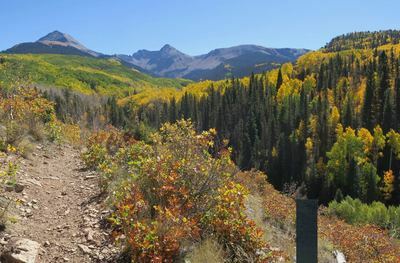 The motorized RimRocker spur trail would connect the Sage Hen area of McPhee Reservoir to the Dolores River below the dam. Under the proposal, it would continue on to Montrose to join the motorized RimRocker Trail that connects to Moab, Utah. 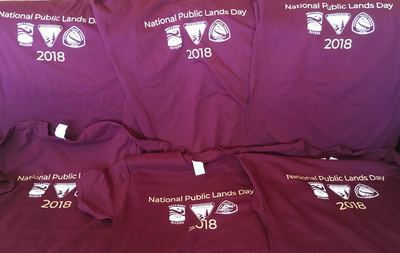 ​Other proposals include building new trails on BLM lands near Mancos, and putting in a trailhead and room for parking at the Menefee and Weber Mountain Wilderness Study Areas. People interested in serving in a voluntary capacity for the above named committee are invited to submit an application form, which can be found at www.montezumacounty.org under “Notices” or picked up at the Montezuma County Natural Resources Department 109 W. Main St., Room 280, Cortez, CO 81321. Return the completed application on or before Jan. 4, following the directions found on the form. For more information, contact the Montezuma County Natural Resources Department at 565-7402. 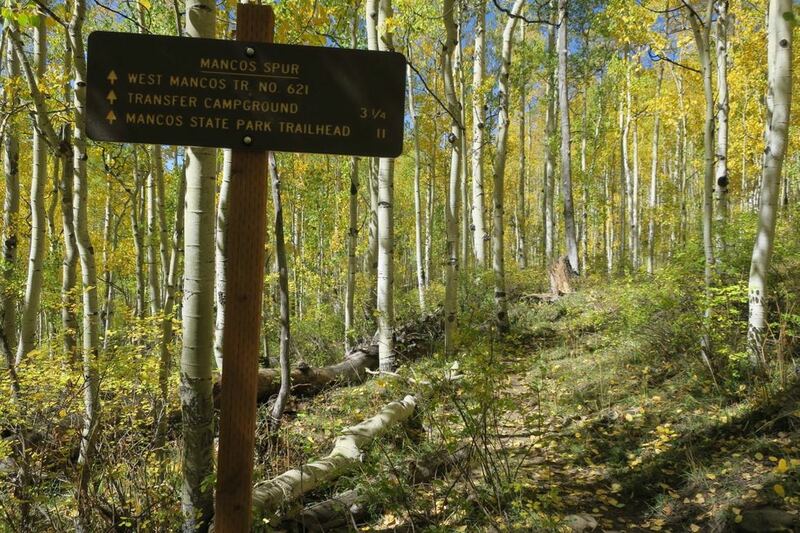 Come join us for the final Mancos Trails meeting for 2018. We'll be reviewing our accomplishments for the year and planning out what we'll focus on next year and further in the future. Were you happy with the direction of MTG this year? What would you like us to do next summer? We'd love to hear from you! More Post-fire openings in the forest! Almost all the closures around the Burro Fire in Bear Creek Canyon have been lifted! 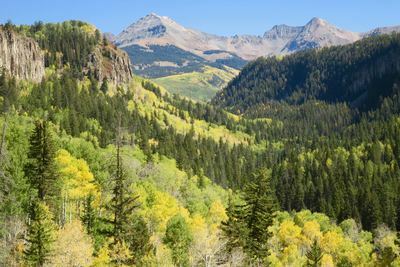 The only parts that remain closed are a section of the Aspen Loop, the Grindstone Trail and a section of the main Bear Creek Trail where Polly Creek had a debris flow that washed out the trail. The Dolores Ranger District will be working on this section and hopes to have the trail passable within a week or so. In addition, closures in the area of the 416 fire are slowly changing. See the link below for more information. 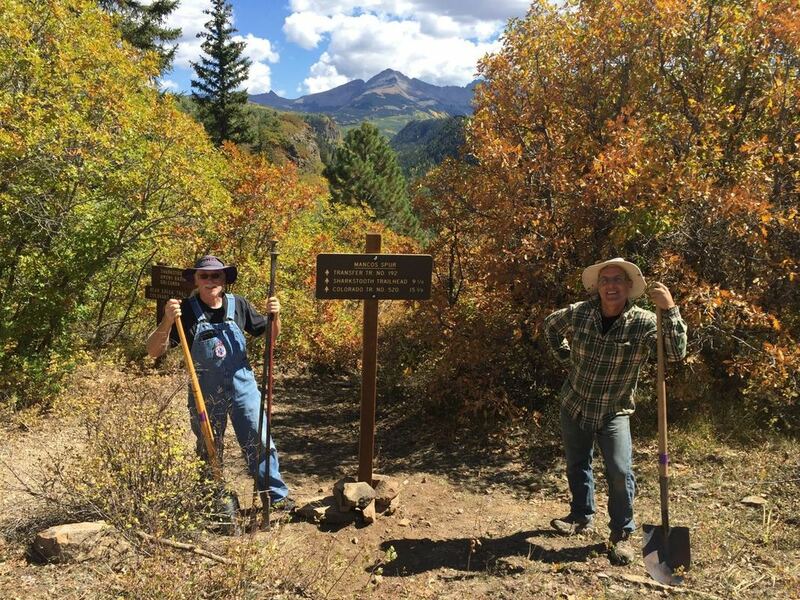 The next Mancos Trails work day is coming right up! 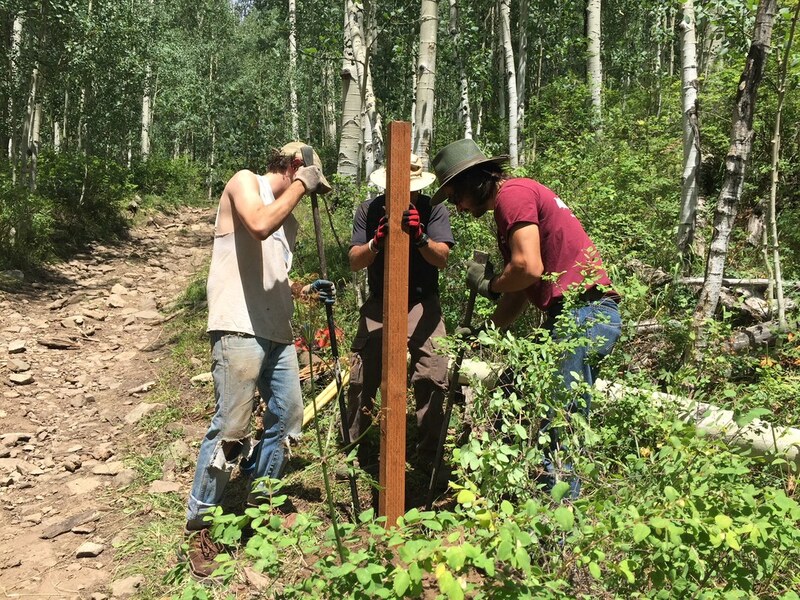 This Saturday, August 4 we will be setting 7 posts for new signage in the Golconda area of the Mancos Spur. All are welcome to attend. 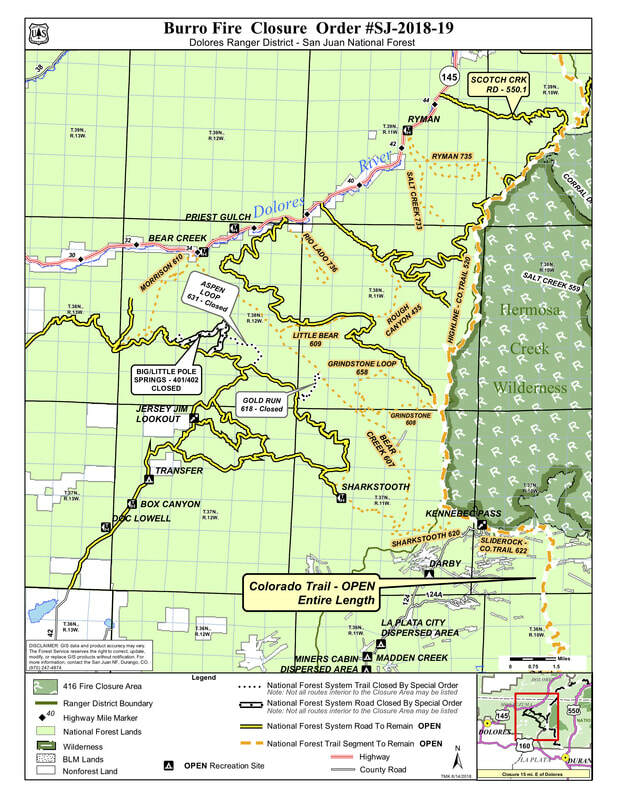 We are meeting at 8:00am at Boyle Park in Mancos with USFS Trail Crew member(s) for a safety briefing. We’ll then caravan up the Echo Basin road #566 to the #566A road. The end of #566A is the the trailhead for Trail #173. There is limited parking space at this trailhead so please carpool. 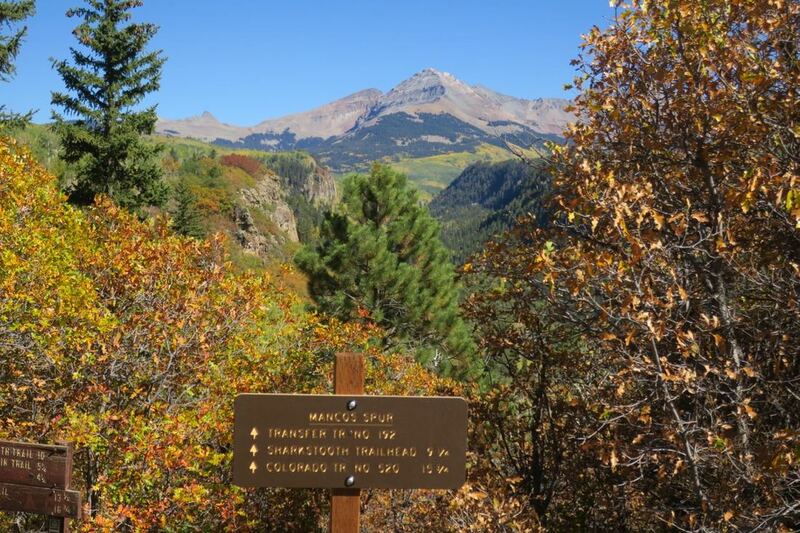 The tool trailer and Mancos Trails banners will be at the trailhead. Trail #173 is motorized for vehicles up to 50” wide and we will be making use of a volunteer’s OHV to help ferry in tools and posts about half of the distance we need to travel. Volunteers can expect to hike a total of 4 or 5 miles depending on which intersections they work at. We will work in groups of 3-4. If you show up late, please hike down trail #173 and check in with a crew leader. 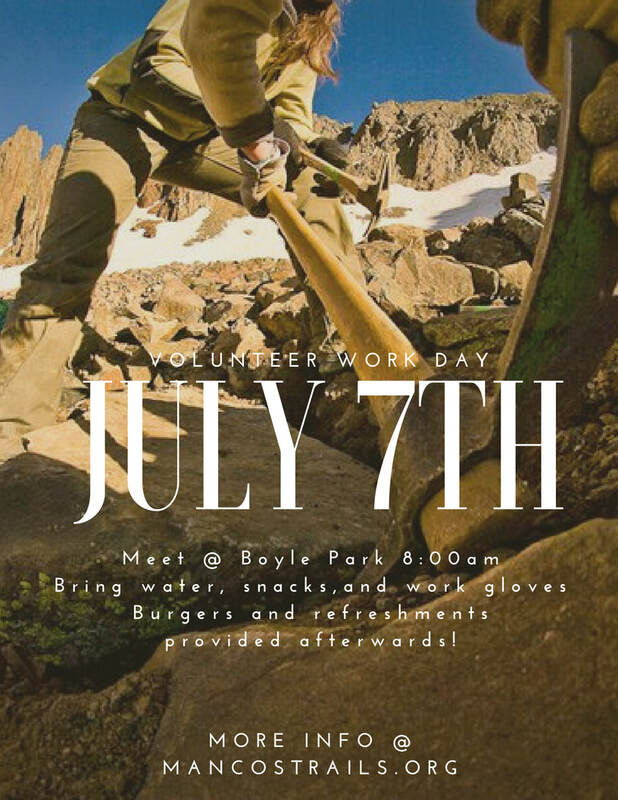 We will have some tools from the USFS and SWCCA, but if anyone has digging bars, post hole diggers, loppers, or any other various trail tools, feel free to bring those as well! There are some limited opportunities for other trail work. There is one 4” tree down and several short sections that would benefit from loose rocks removed from the trail. Be sure to wear sunscreen, sturdy shoes, work clothes, and bring gloves. Bring bug spray as there may be flies. And pack plenty of water as well as snacks or a lunch to eat around noon & get you through till the burgers! We’ll aim to be back at the tool trailer by 2pm. 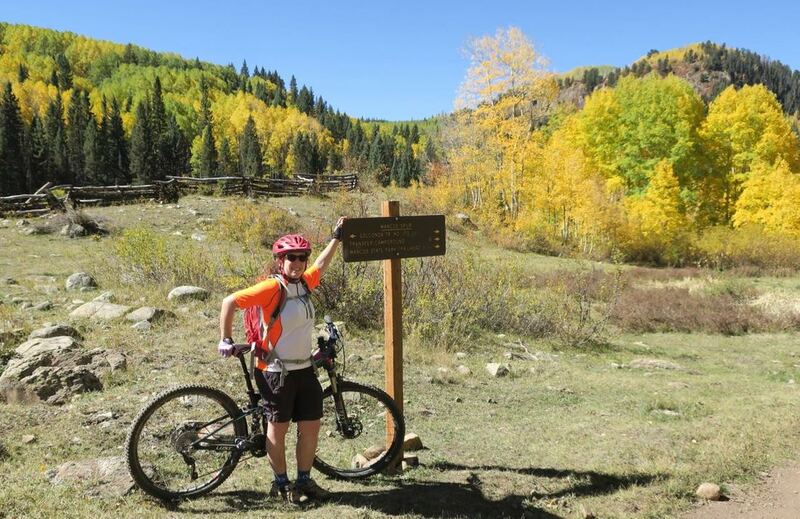 Mancos Trails will provide burgers & refreshments. next volunteer workday and board meeting coming up! 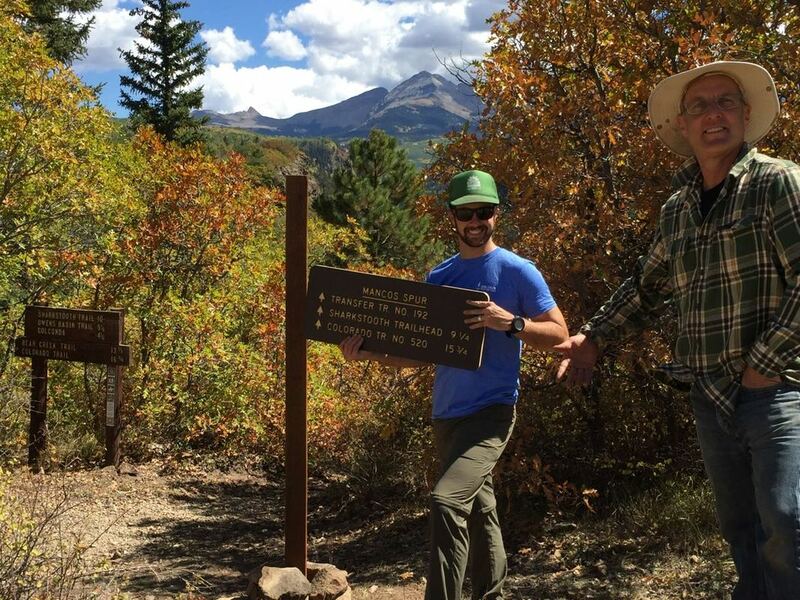 Hello Mancos Trails Group Volunteers and Supporters! Thank you all for such a wonderful year thus far. We have seen a huge rise in the support and fundraising efforts put into the Mancos Valley trail systems. 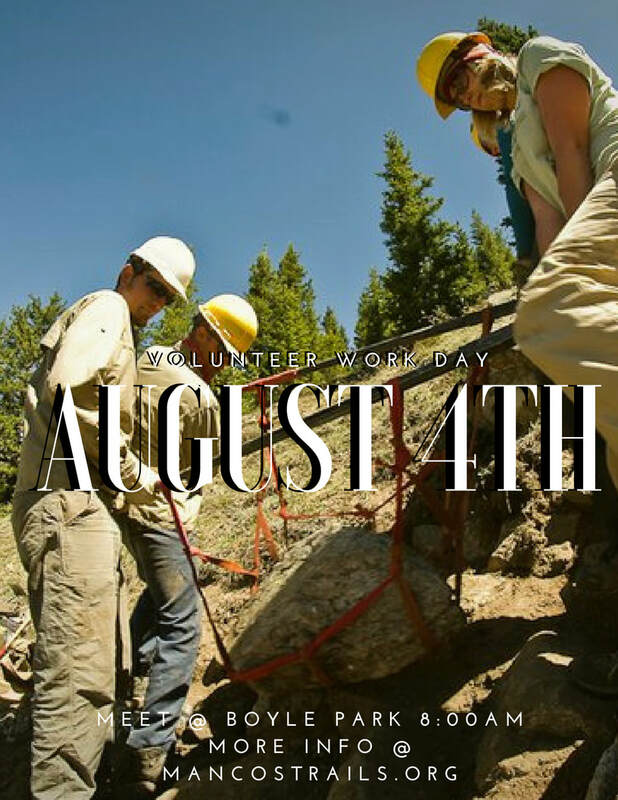 We are having another Volunteer Workday on Saturday, August 4th. We will continue the signage of the Mancos Spur of the Colorado Trail and trail maintenance. Meet at Boyle Park at 8:00am to carpool up to the sites. More information will be posted here soon. The Mancos Trails Group is having our monthly meeting open to the public Tuesday July 31st @ 7:00 pm at the Mancos Library. The agenda can be read here.